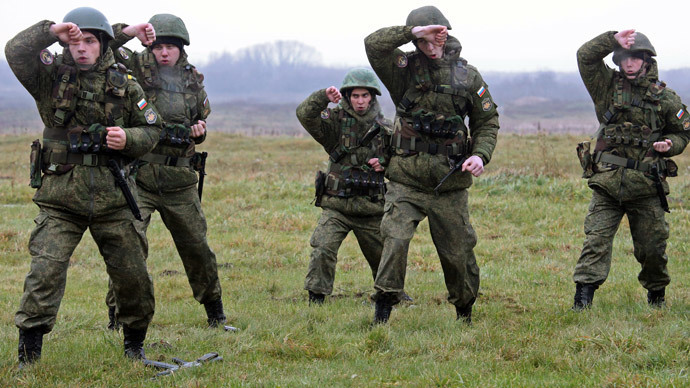 The Russian military has announced a nationwide campaign, promising a set of Special Forces body armor to those who report serious violations in the forces or at defense enterprises. The initiative was presented as a competition, as prizes would be awarded only to the authors of the most significant reports, the announcement by the Military Information Agency said Friday. The event starts on February 23 – the Russian holiday honoring “Defenders of the Fatherland” – and lasts for one month. Participants of the competition are invited to submit information about the violation of federal laws or any norms and instructions of the lowest levels, the rights of military personnel and civilian workers and any other similar cases in the Defense Ministry, as well as in defense industry enterprises. The organizers of the event claim that it will boost the prestige of military service and improve the nation’s defense capabilities. The event would also demonstrate that any citizen can make a positive input into the development of the military forces by reporting violations and seeing that the authorities tackle them. The participants are promised complete anonymity, but reports containing state secrets or any classified information will be removed from the competition. The authors of the most important reports will receive a set of a military-grade body armor, ballistic eyeglasses and Kevlar gloves. All equipment is produced by Russian companies and is currently being used by Special Forces (Spetsnaz) units. The detailed conditions of the competition will be published on the Military Information Agency’s website on the day it starts, the organizers promised in their message.